So. I put learning a little about the history of art, by reading some books on the subject, on my list of things I would like to do over the next decade. So. I have over nine thousand images that I’ve taken over the past few years stored on my MacBook, and I am beginning to worry that if I don’t delete some of them soon my Macbook’s memory may implode like a dangerous building being demolished with dynamite. There is a tenuous connection between the two items in the last paragraph, in that among the thousands of stored images are some I took at the Musée Rodin in Paris when I was there last November. Well I though, given that what I knew about Rodin could be writ large on a grain of rice, why not do some light reading and learn a little about him before I deleted most of the images. 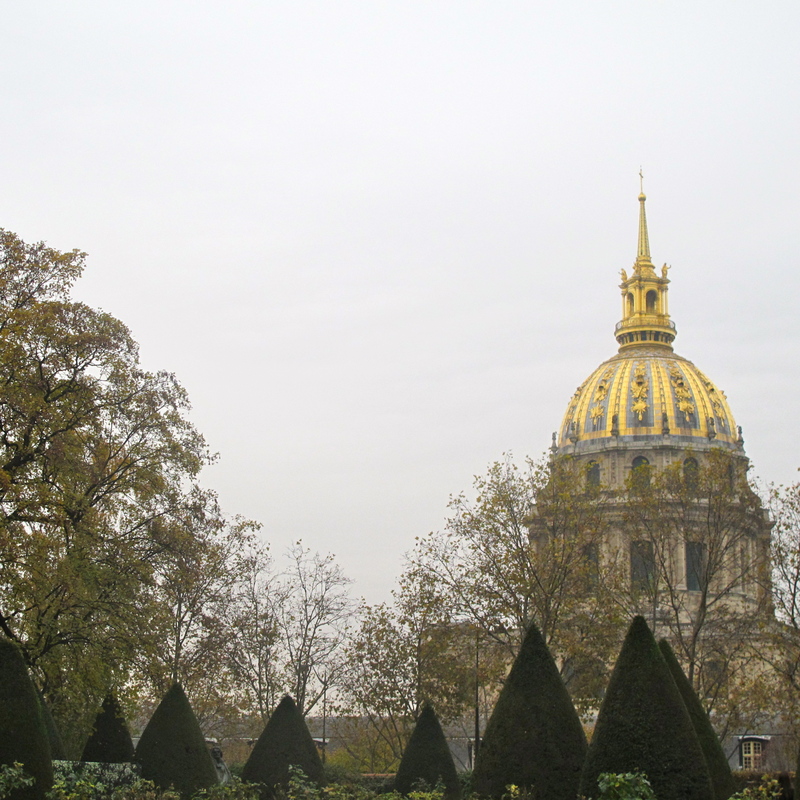 The Musée Rodin, which opened in 1919 is in the Hôtel Brion (a building where Rodin once had a studio), in Paris’s chic seventh arrondissement, hard by the beautiful Les Invalides with its gold topped dome and a short stroll from the Eifel Tower: both buildings are visible from the museum’s garden. And it is the three hectare garden that contributes so much to making the Musée Rodin such an enchanting place: the garden is beautiful in itself but made more so by the many Rodin sculptures placed there, including two of his most famous pieces: ‘The Thinker’ and the monumental six meter high doors ‘The Gates of Hell’. Inside the Hôtel Brion are galleries filled with: sculptures, paintings, drawings, prints, ceramics, and photographs. Auguste Rodin was born in Paris 1840 and died in Meudon in 1917: he met his lifelong companion Rose Beuret in 1864 yet only married her weeks before his death. 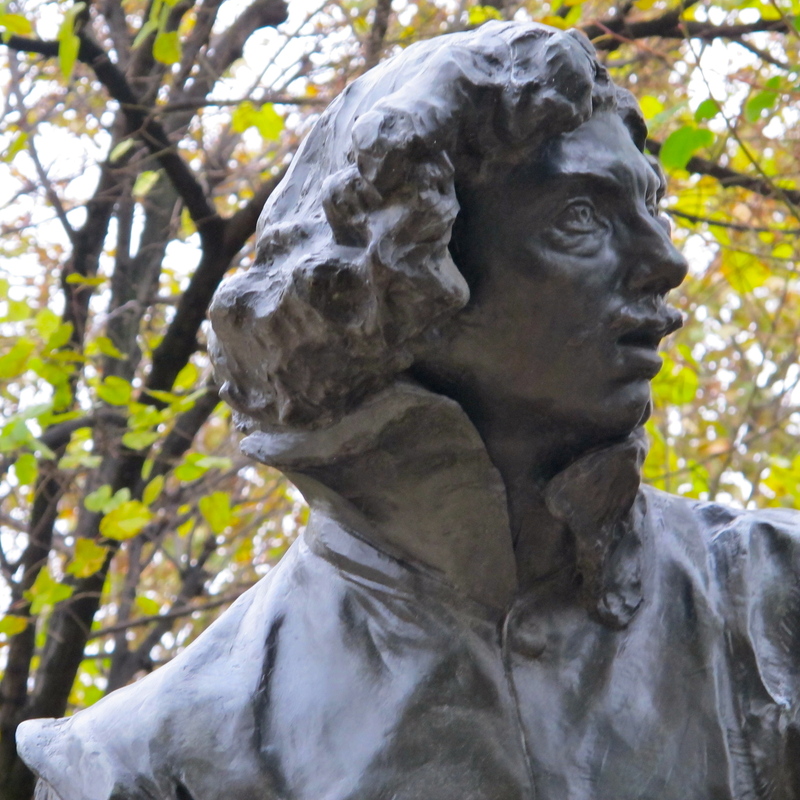 Aged fourteen he went to the École Impériale Spéciale de Dessin et de Mathématiques (‘Petite École’) – where he honed his drawing skills. When he left he failed to gain a place, flunking the entrance exam three times, at the prestigious Ecole des Beaux Arts, so he learned his art during a long and arduous apprentice-ship. When he struck out on his own Rodin was often on the receiving end of criticism as he sought to move his sculptures away from classicism, which was the prevailing influence of the day, towards a new realism, but he was not without support and received commissions from the French government. 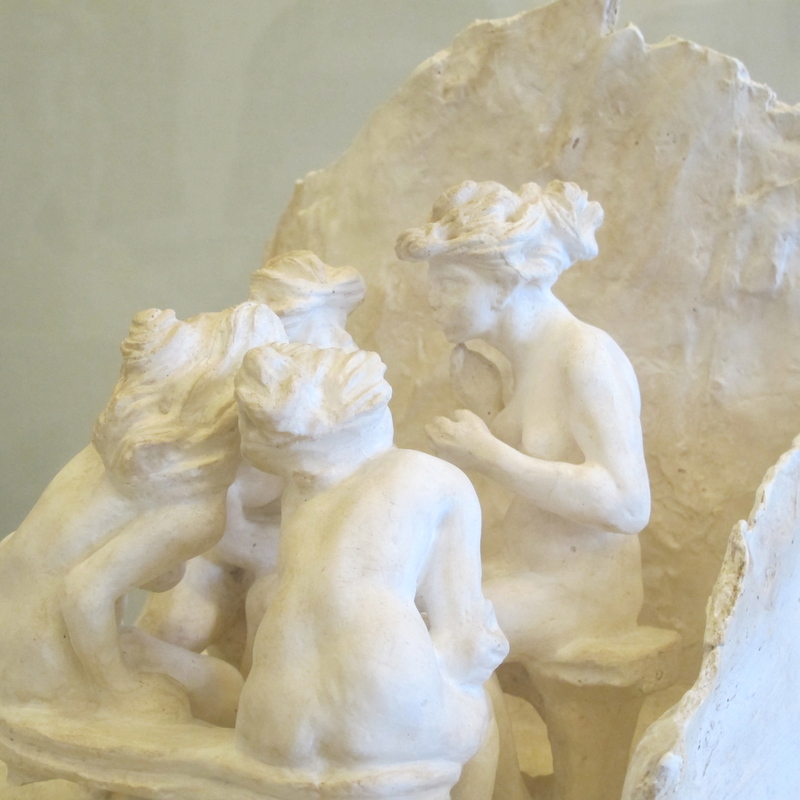 Aside from Rose the woman most closely associated with Rodin was his pupil and mistress Camille Claudel (1864 – 1943) and although she destroyed much of her own work during her lifetime the Musée Rodin also displays pieces by her. Before Rodin died he donated his body of work and works by fellow artists that he had collected to the French state provided they opened a museum to house the collection in the Hôtel Brion. I am sure many of you know most of this already but I didn’t, so it’s good to have a few salient facts about one artist: a tiny pin-prick of knowledge to pierce my deep as the ocean ignorance. 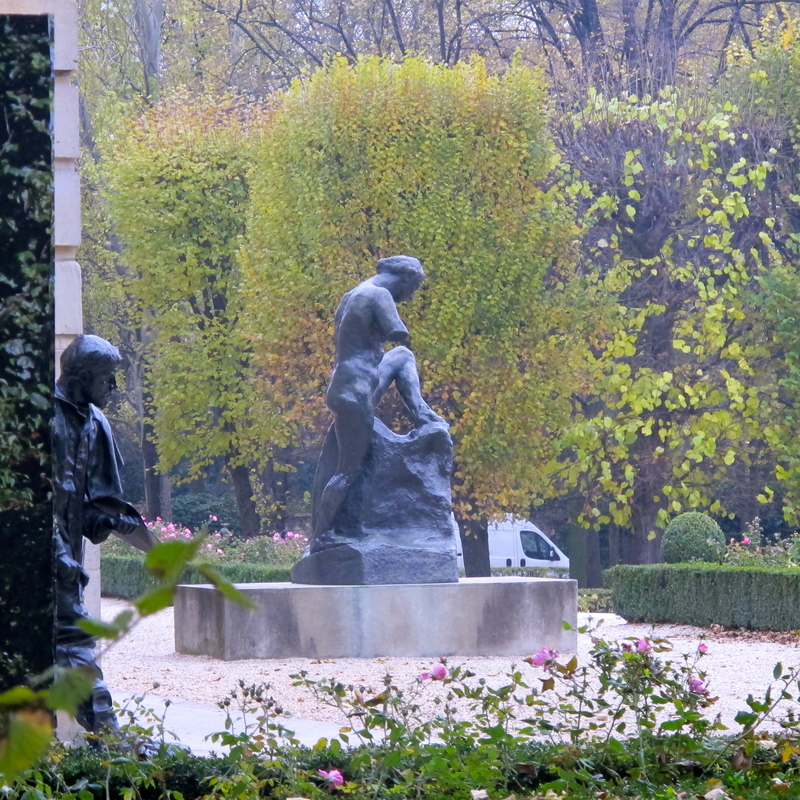 All I knew about Rodin was from the movie Camille Claudel which was IMHO very good. 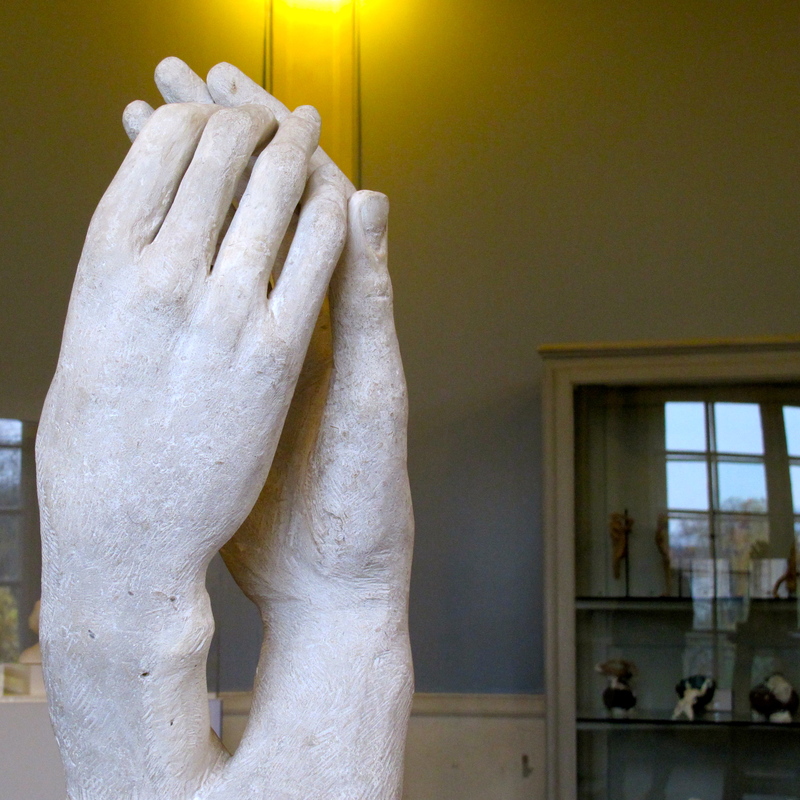 I love and admire the work of Rodin, he was amazing. Your photo’s and history lesson are wonderful, thank you I really enjoyed. It’s a really good movie, she was very talented and larger than life. This is lovely. I know very little about Rodin. The garden looks beautiful. Your visit there must have been such a pleasure. 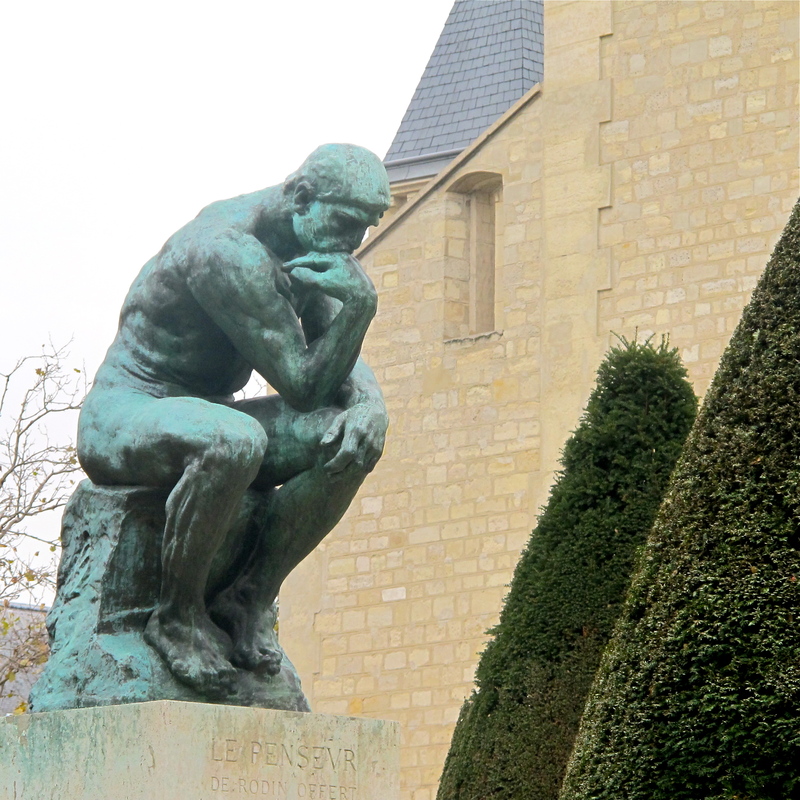 When I studied abroad in France I remember studying Rodin and visiting the museum when we took a trip to Paris. Your pictures are lovely and refreshed my memory of all that I had forgotten! Thank you. Lucky you, how lovely to have spent time studying in France. I think the Musee Rodin is such a charming spot – even though it’s in a very central location the grounds are such a peaceful place to walk around. I am glad my pictures refreshed your memory. No I didn’t know so thank you. I saw some of his work at Musee d’ Orsay years ago but a trip to Paris to this museum would be wonderful. Great post, B! I love the opening shot: the oblique line of the thinker’s back echoes those of the trees to the right, very geometrical and nicely done. 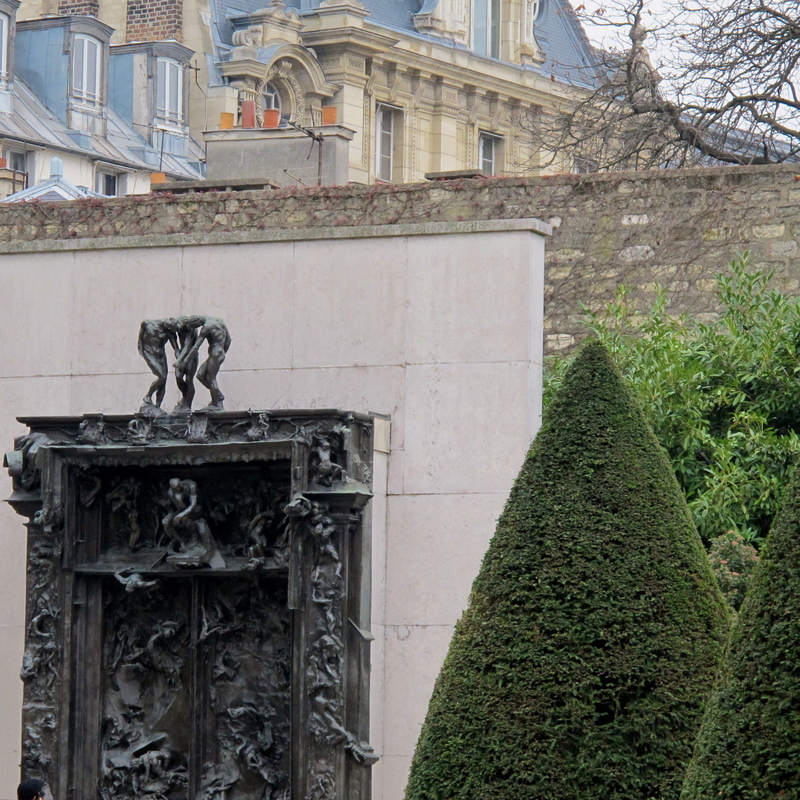 Also, thank you for the very educational post about Rodin: you taught me a lot! By the way, do you happen to know why Camille destroyed most of her work? I don’t know exactly why Camille destroyed so much of her own work all I know is that she was confined to a psychiatric hospital for the last few decades of her life. There is a film about her (I am not sure how accurate it is historically) but I am going to try to track it down to watch it. Have a great week, I hope the puppy (Sofia?) is settling in well. You also have a wonderful week! It looks like an impressive place to visit, I think I’d find the gardens an attraction too! There’s something special about visiting artists studios – the smells, the way things are set up, the light that enables you for a nano second to imagine being there at the time of great works. I was there on a dull November day and the grounds still looked good, I bet they are glorious in spring and summer. Yes, I agree that seeing an artist studio can spark a connection with an earlier period when the artist worked there. I didn’t know much about Rodin, but now I do. Thank you. Thank you and I am pleased to hear that. This is a great post, B. Nicely written and very educational. I’m ashamed to admit that I have never been to the museum. I’m making a note to myself to go there next time I’m in Paris. Thank you Francesca. There are so many things to do and see in Paris that it’s hard to get around to seeing them all. These are some wonderful pictures that I’m glad you shared – maybe you shouldn’t delete them!